SOLON, Ohio – With all due respect to the longstanding team name and the talented student-athletes representing that name at Solon High School’s Stewart Field, the most impressive comets on display Friday night were those launched from the sticks of Rocky River Pirates. Hurtling a slew of such celestial blasts, the Pirates defeated the Solon Comets, 15-9, in what marked a bounce-back from a Tuesday loss – the squad’s first setback of the season — at Wooster. River was dialed in on its collective marksmanship, rifling bullets from all angles and distances. Net-seeking, sidewinder missiles. And overhead slingshot whistlers. All carved into corner and side-goal openings no larger than a third-of-a-foot wide or high. Five such sniper shots came off the head of Andrew Snow’s catapult stick. And three each off the piston-quick twigs of Logan Fortune and Hayden Weaver. In all, six different Pirates found twine, as Rocky River tied its season-high in goals scored. Attackman Will St. Pierre was masterful in orchestrating the River offense. The junior captain figured in more than half of the team’s goals. 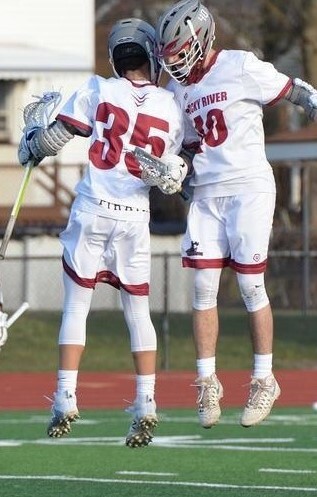 St. Pierre’s uncanny passing skills put Rocky River squarely in command of the 10-yard patch of turf in front of talented Solon netminder Michael Rapposelli. St. Pierre scored two on his own, and he set up four different River scorers throughout the contest; he finished with two goals and six assists. The first of St. Pierre’s helpers came at the 9:53-mark of the first quarter, when he set up Snow for a 15-yard starboard cannon shot which gave River a 1-0 lead. The Comets netted a man-up goal to tie the game a minute later. A tremendous St. Pierre pass set up Logan Fortune for a go-ahead goal at 5:18. A low, 16-yard whistler by Snow gave River a 3-1 lead at 4:52, but Solon managed a final-minute goal to send the two teams into the second period separated by one goal (3-2). The second quarter was an outburst for the Rocky River (8-1) offense and an answer to a challenge from the home side. The Comets netted the first two goals of the second, taking a 4-3 lead in the process. Scoring those goals for Solon were senior midfielder Mike Laubscher and senior attackman Michael Zinamon. That duo would go on to register a combined 10 points on the night (Laubscher—three goals, assist, Zinamon—four goals, two assists). The Pirates rallied with all hands on deck. A Hayden Weaver goal – assisted by St. Pierre – tied the game (4-4) at the 6:52-mark of the second. A remarkably athletic play vaulted River into the lead a minute-and-a-half later. 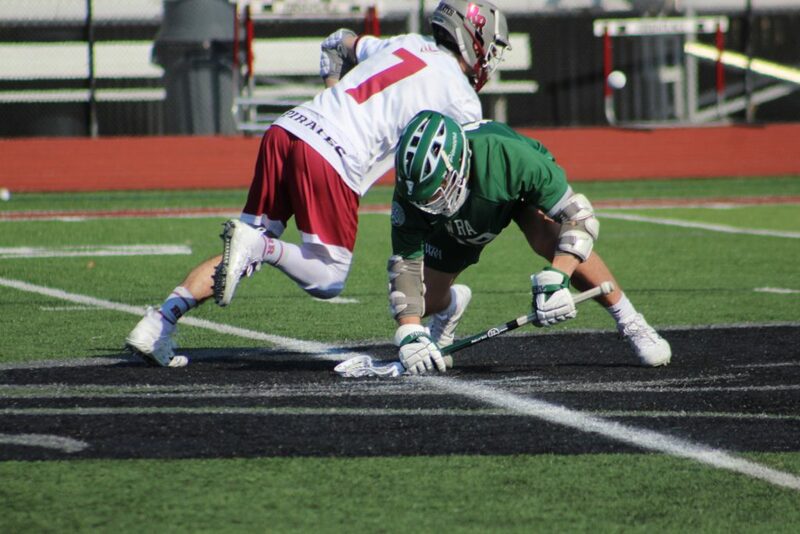 Snatching up a loose ball in the defensive zone, junior Blade Cintron bolted up field – across the midfield stripe, dodging defenders and then finding St. Pierre on the far right side of the box. 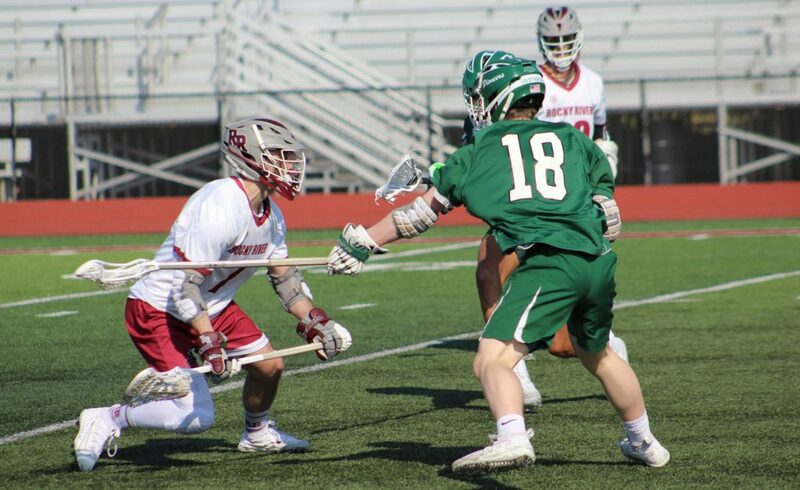 A perfectly threaded 17-yard return pass found Cintron in the slot, and the defenseman spun around and whipped the ball into the cage for his first Rocky River goal. Cintron’s netfinder lifted the Sons of Blackbeard to a 5-4 lead; they wouldn’t trail again the rest of the night. The Pirates would go on to score seven goals in the second quarter. Goals at 2:13 (a stick-to-stick clinic put on by Nate Robertson, Andrew Snow, Will Bennett, Logan Fortune and Hayden Weaver – yielding a goal by Weaver) and 1:08 (a laser-guided sniper shot by St. Pierre) would rival Cintron’s goal as best-in-show among the seven. Taking a 10-6 lead into the second half, the Pirates extended their advantage by outscoring Solon, 3-0, in the third. The endgame fourth expanded River’s participation report and resulted in a 3-for-2 exchange favoring the Comets. The Pirates finished the 15-9 victory outshooting the Comets by a whopping 44-20 margin. 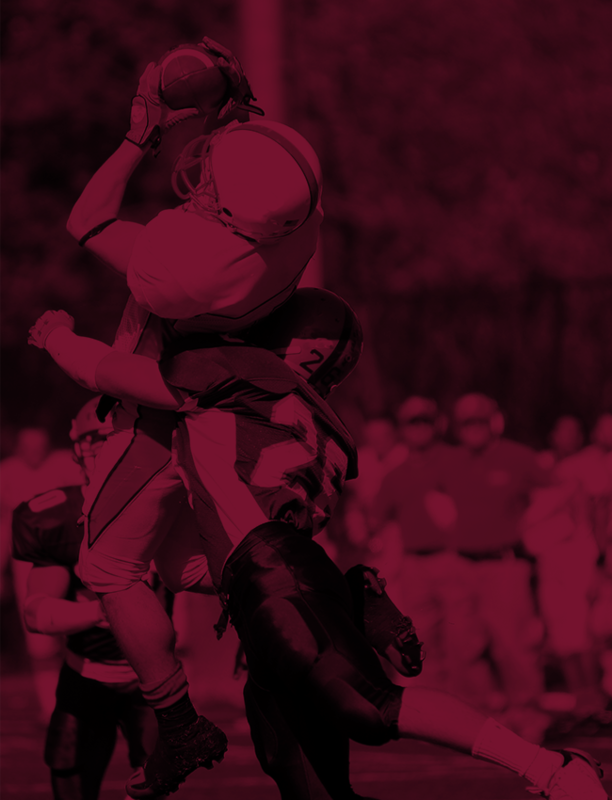 The Maroon & White doubled up Solon, 24-12, in shots on frame. Rocky River set up that type of field tilt with an 18-10 night on faceoffs. 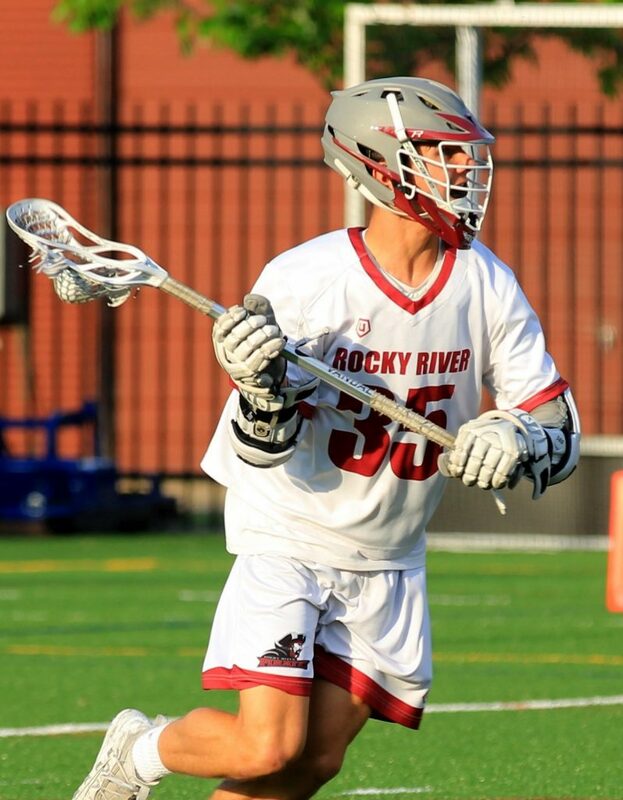 Andrew Snow led River’s efforts in the midfield scrum, taking 17-of-20 faceoffs on the night. On defense, the sliding, checking and stick-work of Zack Wagner (three ground balls), Michael Larson, Blade Cintron (two ground balls), and Charlie Hudson (two ground balls) kept River goalkeepers Jack Rossi (42 minutes) and Reece Rochester (six) free from duty for long stretches throughout the contest. The Pirates’ transition defense forced a slew of turnovers. The Comets were tagged with 22 turnovers, the most by a River foe this season. Pirate sticks logged a season-high 12 caused turnovers. Will Bennett, Kai Delventhal and Colton Sullivan logged two spills each. (Delventhal forced his two turnovers in a matter of minutes in the fourth quarter.) Nate Curry (four ground balls, one caused turnover), Matthew George (ground ball, caused turnover) and Wagner were also effective in hounding the Comets into a lackluster 8-of-19 performance on clears. River won the ground-ball battle, 35-21. 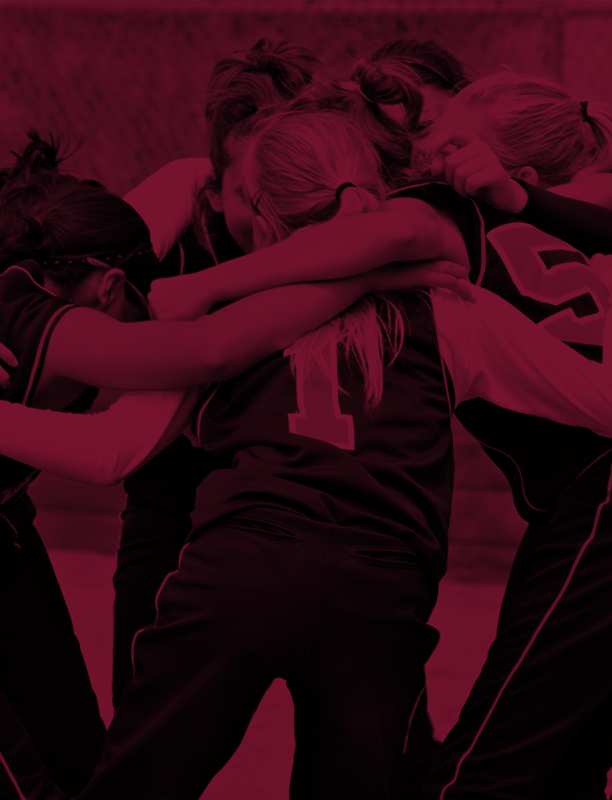 Comets off the sticks of shooting stars wearing Maroon & White. YOUNG BUCS: Rocky River and Solon played to a 3-3 draw in Friday’s junior varsity game. John Matis, Alex Parnell and Tamer Salama netted the Pirate goals. AND SO, WE MEET AGAIN: Friday’s game at Solon marked the second all-time meeting between the Pirates and Comets. Rocky River defeated Solon, 7-3, in 2005, which was River’s inaugural season. NOTABLE: Friday’s eight-point performance brings Will St. Pierre within earshot of the 100-point mark for his career. St. Pierre has 33 points (15 goals, 18 assists) in 2019 and 87 points (46G, 41A) in his RRHS career. … Andrew Snow’s five goals at Solon mark a career-high. The junior midfielder has scored a team-high 21 goals on the season. QUOTABLE: “Our big guns were in sync tonight. I thought our effort was phenomenal.” – Head Coach Bobby Perez.